The circular saw is the one power tool every handyman should have. 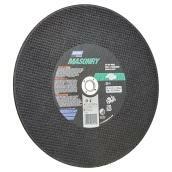 Powerful, versatile, portable and convenient, it can be used for all kinds of cuts in a variety of materials, such as rough lumber, boards and metals, depending on the blade used. You can opt for a corded or a cordless model depending on the type of job and intensity of use. With the right accessories and a skilled hand, a circular saw offers a level of precision that rivals table saws and mitre saws. Where will the saw be used? In a workshop? At a job site? Around the house? Where no electrical outlets are available? How will it be used? Often and for long run times? Sporadically and for short run times? What type of work are you planning on doing? Light-duty? Heavy-duty? What level of accuracy – cutting and adjusting – are you looking for? Average? High? Appreciated for its handling qualities, the sidewinder saw is the model most often used on construction sites and in workshops. The motor housing sits perpendicular to the blade, delivering enough power for most cutting tasks, including wood, steel, and cement fibre (if fitted with the correct blade). Less mainstream because it is heavier and more unwieldy than a sidewinder saw, the worm-drive saw has a parallel-mounted motor that powers a worm gear to turn the blade. The torque makes cutting fast and easy. The main benefits of corded tools are their power and unlimited run time. Motors vary in power from 10 A to 15 A. A higher power rating makes for a smoother and faster cut. A lower amperage simply means the blade will not turn as fast and it will take a bit longer to cut the material. Because it’s connected to a constant power supply, a corded saw is always ready to be used for as long as you need, so you can work without interruption or having to stop to change batteries. You may, however, have to use an extension cord, which can sometimes get in the way. Ideal for heavy-duty, time-intensive and repetitive jobs that require high cutting power, endurance and speed. The greatest advantage of cordless tools is their portability. The more expensive high-end models deliver more power, but cannot compete with corded models. Cordless models have smaller blade sizes (5 ⅜" to 6 ½") to ensure an acceptable level of performance. No need for an extension cord. Battery life will depend on the work being carried out. The heavier the work, the faster the battery will wear down. A premium cordless tool will have high-quality batteries. Requires more than one battery, so that work can continue while a drained battery is being recharged. Motors vary in power from 14 to 36 V. The higher the voltage, the more power the tool will have. Tools with battery packs from 14 to 18 V are adequate for occasional jobs around the home. Tools with batteries exceeding 18 volts are heavier and more powerful – generally used for more demanding jobs by skilled handymen and professionals. Note: The features described below are not necessarily available on every model. They will also differ between corded and cordless models. The ergonomically designed size and shape of the handle and trigger enable safe and effective use of the tool. The handle provides a secure hold. The trigger is located in such a way that it can be easily pushed with the index finger. Always test handle balance and comfort in the store to ensure a proper fit. To start the motor, this switch must be pressed at the same time as the trigger. The switch prevents accidental start-ups and protects children from operating the saw when pushing the trigger. This grip at the front can be held by the free hand to hold the saw more securely. Available on selected models, the laser guide emits a red beam to help guide you as you cut. Simply align the beam with the pencil line on the material to be cut. Motors provide 10 to 15 A on corded tools and 14 to 36 V on cordless tools. A more powerful motor means it will be easier and faster to cut the material, but the tool will also be heavier, and this can tire the arms when working for a long period. A circular saw with a 13 A or 18 V motor offers a good power-to-weight ratio. Another thing to check is whether the motor has a ball bearing or a bush bearing (bushing) construction. Ball bearings are longer-lasting and more precise than bush bearings. A bolt fastens the sliding plate at the selected angle. All saws have a plate that can be tilted to at least 45° for bevel cuts. Some models can even go to 56°. The knob locks the rip fence which slides into the slots found at the front of the saw. The rip fence usually comes with the tool; it sits on the edge of the material to be cut and helps you cut with more accuracy. A small 'V' notch at the front of the plate helps guide the saw blade along the cutting line. Usually located at the rear and sometimes at the front of the saw, it allows you to adjust the plate to select the depth of the cut. If you want to create grooves, you can position the plate so that the saw is nearly vertical. The depth adjustment control can be a simple knob or screw, or something more sophisticated and precise on high-end models. Depressing this button locks the blade into place, making it easy to remove the screw when the blade needs to be replaced. Low-end saws generally do not have a spindle lock button, so that a screwdriver needs to be used to keep the blade in place. Some saws feature a wrench storage area on the base plate to store the wrench that is needed to remove the blade screw. The blade guard is an essential safety feature. It rolls back when a cut is started, and springs back into place when cutting is finished. 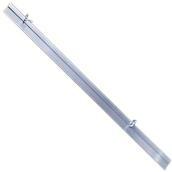 A handle allows you to manually open the guard if necessary. The base plate of a circular saw supports its weight while cutting. It also adjusts to control the depth and angle of the cut. Low-end models have a steel base plate, which makes the saw heavier to hold. High-end models have aluminium or metal alloy plates, which are much lighter than steel. Opt for a saw with a rigid plate. 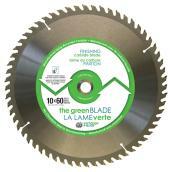 The standard size for a corded circular saw blade is 7 ¼" in diameter for a depth cut of 2 ½" at 90°. 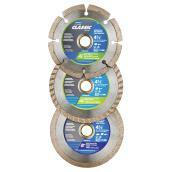 Some saws can be fitted with 8 ¼" blades that cut up to 3" deep. Cordless saws use smaller blades, varying between 5 ⅜" and 6 ½" depending on the model. Circular saw blades come in a variety of sizes and can be designed for a number of different applications, such as fine cuts, cross-cuts, fast cuts, and for cutting melamine, cement fibres and various metals. This handle enables the user to lift the blade guard, which can be handy when the blade needs to be placed more precisely. The electric brake stops the blade in less than 2 seconds when the trigger is released. This safety feature reduces the risk of injuring the user in the event of a fall or loss of balance. For most cutting tasks involving wood, wood products, sheet metal and cement fibre board (use appropriate blade). Accessories and attachments for circular saws are designed to make certain tasks easier. Cutting guide: can be mounted on large pieces of wood, such as 48" x 96" plywood, to help guide the saw.